Sometimes you just gotta soak up the art. That’s the handiwork of artist Sandy Jarrell right there. He posted this to his Twitter feed but I wanted to share it with you, as well. Sandy was cool with it, so here we are. I asked Sandy why he drew the image and he simply said “just an impulse.” He wanted to draw Wonder Girl and just kept going. My nostalgia bone is tingling! That’s nice work. Lots of red & yellow on that team. Never noticed it before. 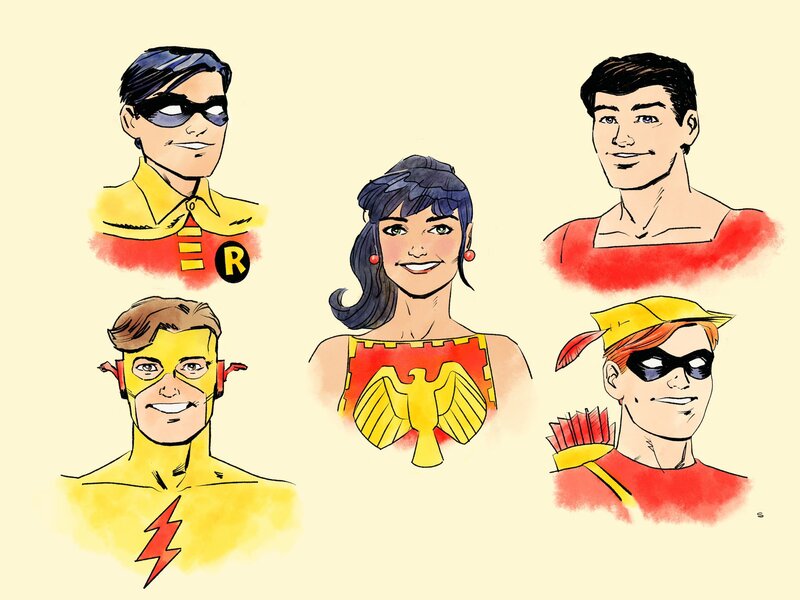 This is a great sketch of the original Teen Titans.